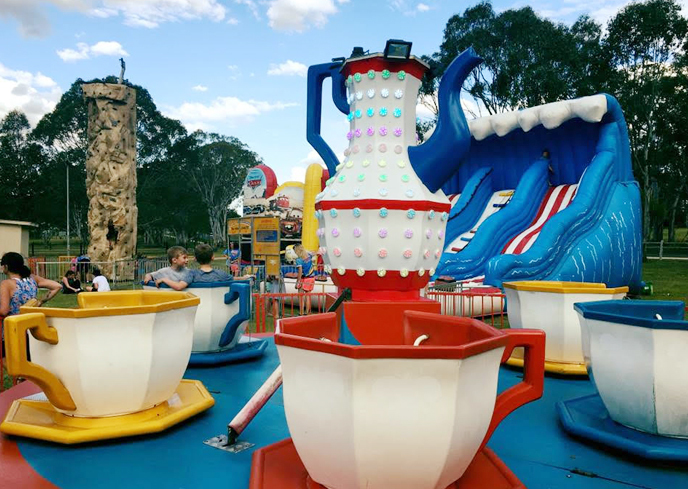 Spinning around in a fantasy land the Cup and Saucer ride is for all ages and will take you to the fantasy of your choice, with bright colours and LED lighting and the extra safety of variable speeds, people of all ages will enjoy this ride, just remember when you ask for ‘faster’ that’s exactly what you will get. 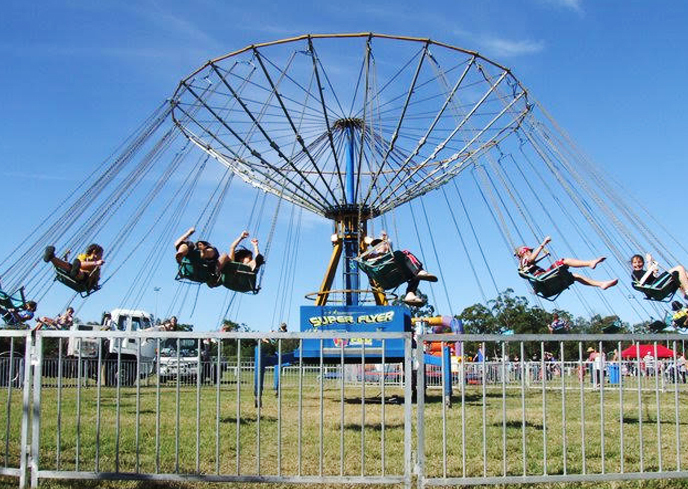 Round and round, up and down, the Round Up is not for the faint hearted and remains popular with an appeal that has lasted generations, Passengers are held against the cage wall with the G force produced from a high speed spin, then defying gravity as the cage tilts into the air, a real favourite with the older kids and a real scream machine. 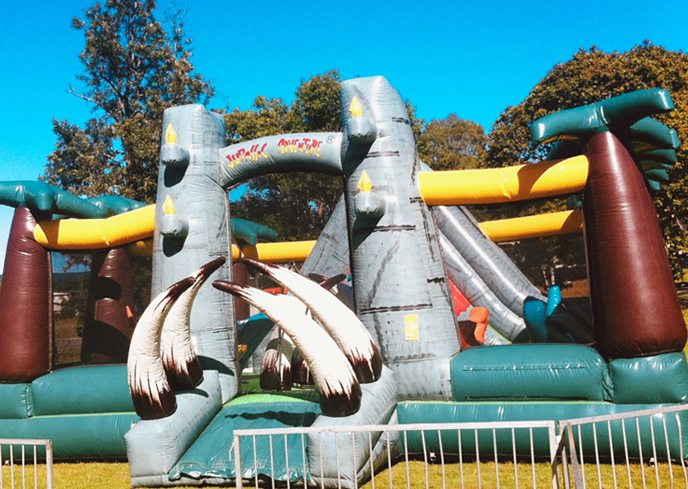 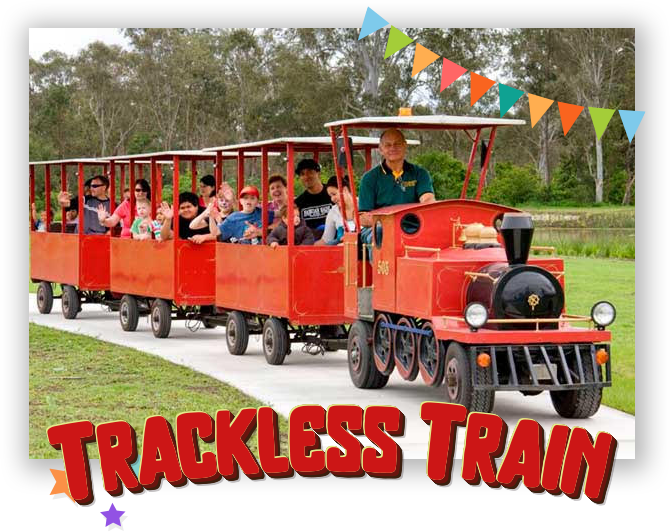 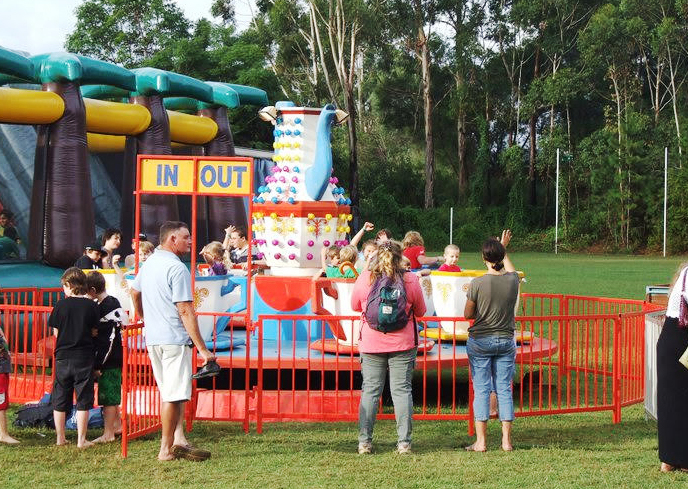 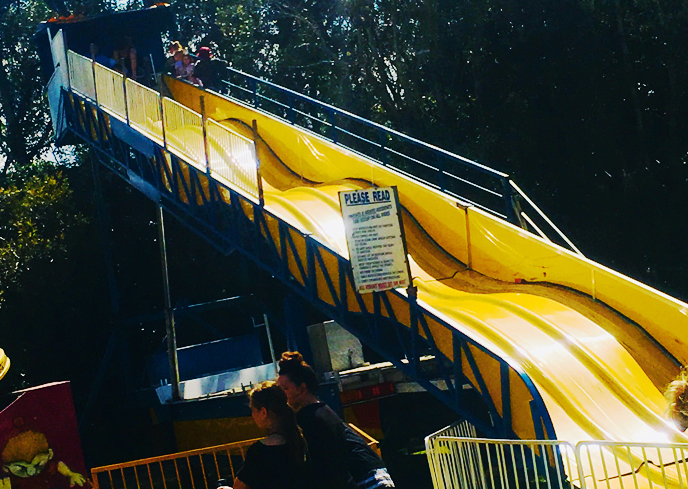 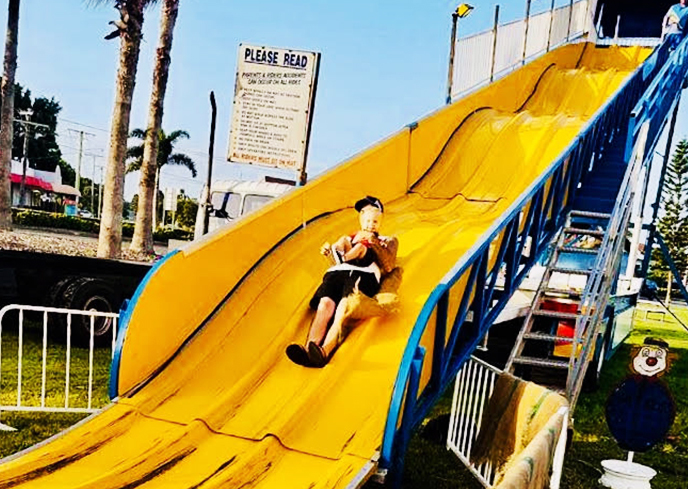 The Jumbo Slide is our most popular ride, from toddlers right up to Nan and Pop, everyone enjoys the fun of the Jumbo Slide and with 3 fulfilled slippery lanes, the kids can race against Nan and Pop or anyone they would like, the Jumbo Slide is a classic and a must have at any fete or festival. 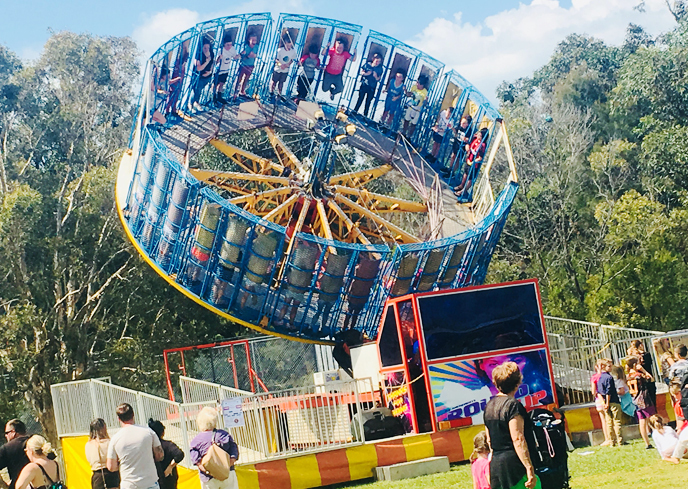 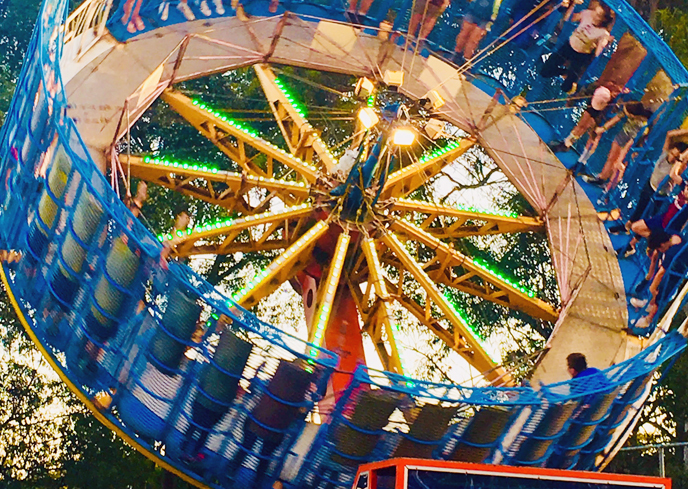 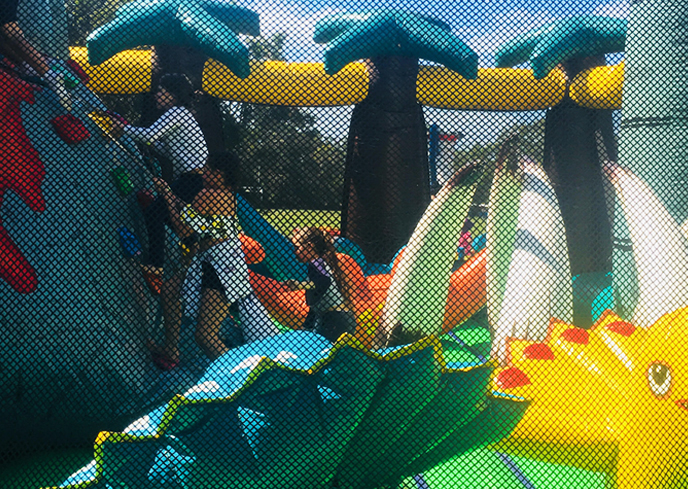 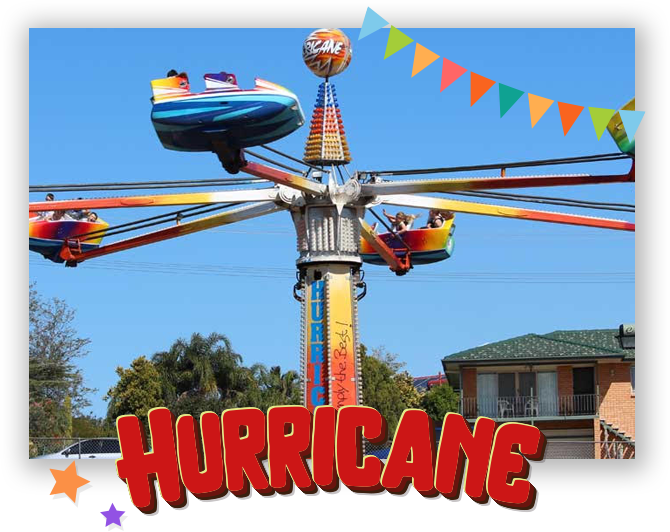 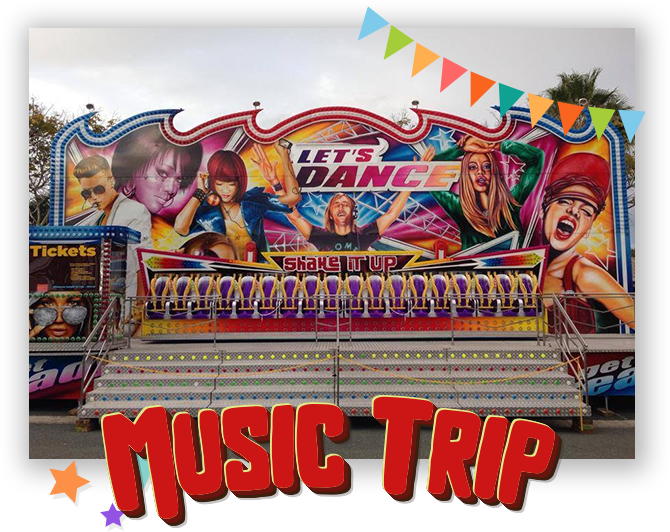 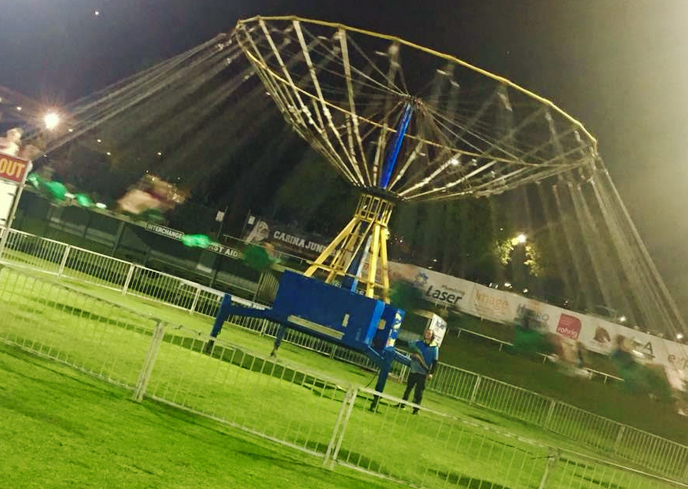 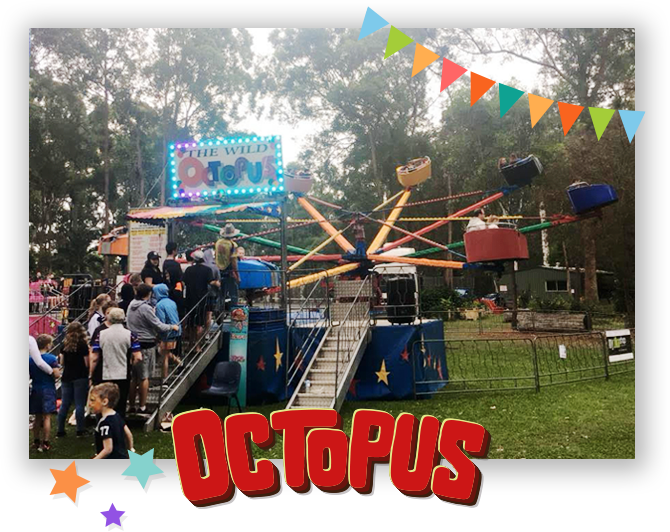 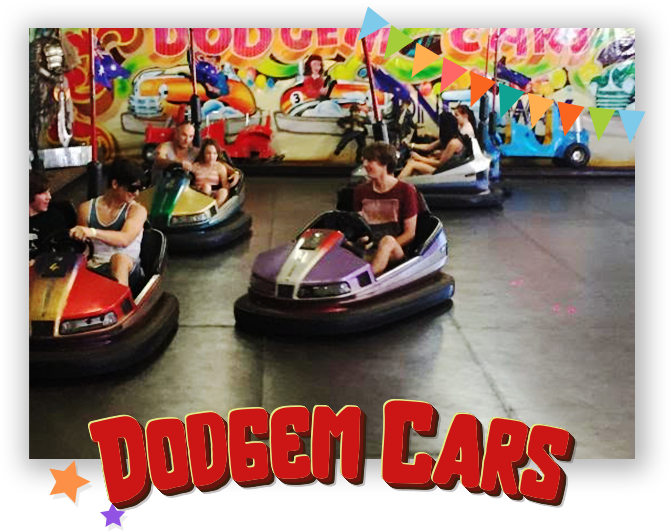 This massive Chair ride is great for everyone, there is nothing like the cool breeze in your hair as you zoom around on our giant Super Flyer, this high capacity ride is gentle enough for small kids and still great fun for older kids and really stands out at every event. 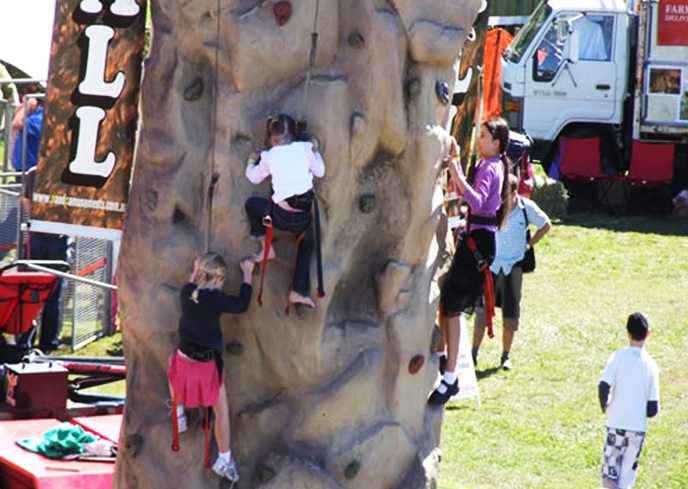 Our rock wall is very safe and can be very challenging, all you have to do is try and make it to the top to press the buzzer, then the self belay system will safely lower you to the ground. 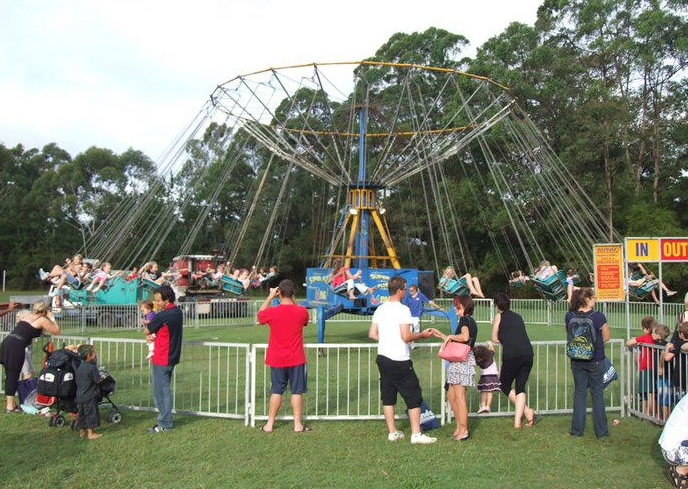 We also have the addition of 2 bungee trampolines, these high flying extras really gets the kids going and they will queue up for hours just to have a go. 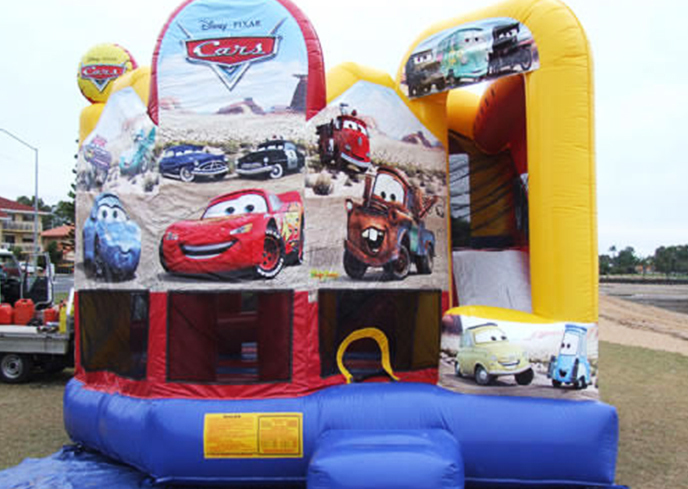 This castle is aimed at the younger kids, with a small slide and obstacles inside, the kids will be all smiles on the Cars Castle.